Roseville, California is located in Placer County along the eastern edge of the Sacramento Valley at the base of the Sierra Valley foothills. A progressive city with an eye on the future, rooted in the historical railroad tradition, the town was developed by disappointed miners from the Gold Rush and has blossomed into a fully developed and independent city with an estimated population of over 120,000 residents. The settlement was originally a stage coach station called Griders. When the railroad arrived the name was changed to Junction and then to Roseville. The Roseville post office opened in 1864 and the city incorporated in 1909. 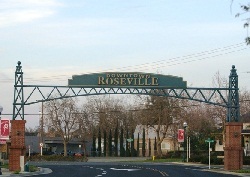 Typical of Northern California, Roseville has a Mediterranean climate characterized by cool, wet winters and hot, dry summers. The “wet season” is generally October through April. The top 10 employers in Roseville are; Kaiser Permanente, Hewlett Packard, Sutter Roseville Medical Center, Roseville Joint Union High School District, City of Roseville, Union Pacific Railroad, Roseville City School District, Walmart, Telefunken Semiconductors USA, and Pride Industries. 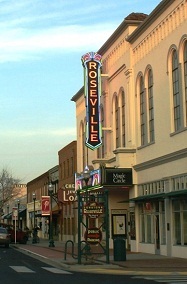 Shopping plays a vital role in the economy of Roseville, which has the eleventh highest retail sales of all California cities as of 2008. Roseville is considered a regional shopping destination, with the Westfield Galleria and the Fountains at Roseville being the two main shopping centers in the city. In addition, Roseville has many shopping plazas surrounding the Galleria and the Douglas Boulevard financial corridor. Music lovers can enjoy Music in the Park and Downtown Tuesday Nights, and for the live theater enthusiasts there is the Civic Theater West. Families can enjoy Denio’s Farmers Market and Swap Meet, and Roseville’s museums, and if you prefer fine wineries, Roseville is close to Placer County and the Napa Valley. Roseville is an amazing place to raise a family with an abundance of recreational programs, numerous neighborhood parks, state of the art fitness centers, wonderful golf courses and thousands of acres of open space. Several of Roseville’s schools have received the ‘California Distinguished School Awards” from the California Department of Education and Roseville is within driving distance of Sierra Community College, California State University, Sacramento and University of California, Davis. If you are considering living in Northern California, Roseville is a great place to live. Contact a local Century 21 M&M agent at (800) 350-1548 get started finding the home of your dreams.